A lot of fuss has been made over the state of Calgary's Taxi Service and licensing status of late. I am not an expert on the issue but thought I would let the reader decide for him/herself. I know that each group will try to push their agenda and naturally lobby for their side. But if you look closely at the issue at hand, taking all the emotion out of the picture ( eg.the time it took 2 hours to get a cab during stampede or during the company Christmas party. ), you will see an industry that is really at a crossroads. Calgary has a population of over 1,000,000, but just 1,311 regular taxi licences. Its hard to believe, but this is exactly the same number of plates that existed in 1986, when Calgary's population was around 600,000 people. 1) The industry cried for a Freeze 20 years ago as the drivers/owners could not make a living due to the "excess" capacity of cabs. Interesting.... 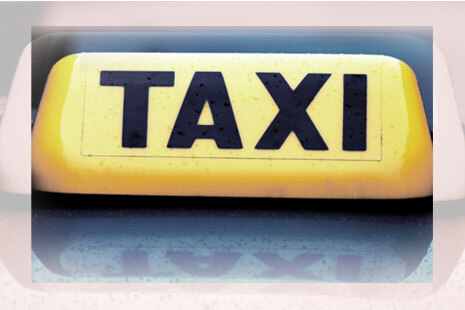 The industry demands a cap on the issuance of new Taxi Plates in order to ensure that there is enough work to go around. Fast forward 20 years and we are now hearing people scream for more taxi's. 2) Successful Political Lobbying and Fat Cats. One of the basic principles behind supply and demand is scarcity. Once you have a hard time obtaining something ( or they stop making it) the value will naturally increase. This is exactly what happened to the Taxi license plates in Calgary. These plates are now rumoured to be worth $100,000 each. Nice investment for the handful of Cab magnates that control the plates in this city. If you start adding more plates, then the value becomes diluted. Its no wonder the Fat Cats don't want the system changed. It would appear that the cab companies have been super successful in keeping the status quo for 20 years. I am curious to see what their campaign contributions were over this time period, as this influence over the Taxi Commission cannot be discarded, but I guess that is for another post. The problem cannot be addressed by simply opening the floodgates and allowing an unlimited amount of new Taxi Plates. I do believe that during 80% of the time, it is easy to get a cab in this city. Unfortunately it is during the 20% extreme peak season when everyone freaks out ( when a majority Calgarians likely only depend on their service 2-3 times a year max.) once they realize it is nearly impossible to get service. If the industry is really concerned with addressing the shortage, and not solely on their own economic agenda, perhaps the following idea will work? Why not issue temporary additional licenses during the peak season? ( Christmas, Stampede etc.) This will allow some new entrants into the system and ease the shortage issues. So during the Christmas Party season approaches, be sure to think about this issue and post your thoughts! About time you got off the couch and posted something. I think that the competetiveness of taxis would be good. You hit it on the head when you say that if the market is flooded that certain companies will not survive. This would mean that the best run, most efficient cabs would continue to operate based on supply and demand. With the databases available Insurances and Inspections would not be an issue and their licence could be suspended if they fail to meet this criteria. The city could insist they be listed on the insurance as additionally insured, and if there are changes or cancellations the city would be notified by the insurer. This is common bsuiness practice these days. It really is not as complicated as it seems, the city just needs to streamline their systems. Completely unrelated... has anyone noticed none of the taxis have phone numbers on them anymore? How do you tell drunk drivers to be responsible and take away one of the means for them to do so? Ha, no insurance working here. I have to buy our company insurance and part of the due diligence of the companies we work for is for them to ensure we have met the insurance requirements. These certificate with the notice and additionally insured is at no extra cost to the insured and usually can be received from your insurer in under one hour. Each town and city should ensure that these commercial carriers have these minimums in place prior to issuing any licence. Again though I think the open market should be able to decide who will supply the service not the city. I was just at a company christmas party this weekend in country hills. So it was 2am and I had tried to call for an hour trying to get a cab knowing it was time to go home but oh all I got was a busy signal. This is a complete joke! The CPS is cracking down on drinking and driving but what is going on with the cabs! I think that the city is making people drink and drive by limiting cab licenses. I ended up getting home at 5am now is that acceptable? I ended up starting my SUV and having a sleep. I would have loved for the CPS to try to hand me a DUI for sleeping in my running truck because I could not get a cab! Interesting? have you ever thought of checking if bigger companies are playing monopoly. Last year I was at the downtown bar and try call two major companies in Calgary but there line were busy, but when I came out of the bar there was line up of same companies taxis. I took one and complain about not picking up phone the caby mention to me I have been waiting for one hour for the trip and he also showed me his computer that how many taxi were in that area. It is clear to me that big companies don't care about customers and the blame easily goes to the driver and no one notice about companies. There are over 1300 taxis in Calgary now as Nicole mention above the drivers can work whatever hours they want it clearly tells me big companies do not mandate to bring there whole fleet out to cover busy working hours what that mean. Babies, Blogs and well...Baby Blogs!